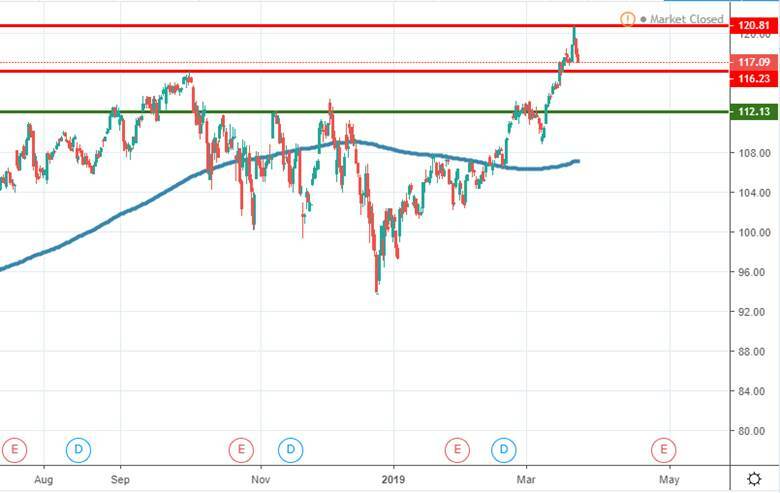 Despite positive sentiment driven by recent news related to services that the company might launch, we might witness a meaningful pullback in the next few weeks, as fears of an economic slowdown and weak earnings could be ignited. As a result, we suspect the price could retest again the 184.89 level and in case of an impulsive breakout below it, the move could extend towards the 4h chart 200 moving average, or towards the 170 swing point. Boeing had been hit hard recently by the pending investigations following two similar place crashes. Those who want to trade CFD or the Boeing stock in the near term should treat it with caution since the bearish impulsive move had wiped out almost 20% of the value in less than three weeks. The 4h chart 200 moving average (which is where the price last closed) should be watched closely, considering that it is widely regarded as a dividing line between bullish and bearish territory. 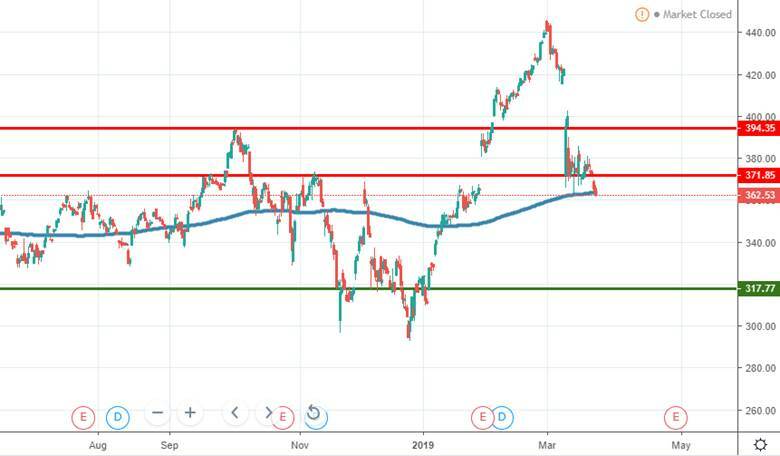 If the selling will continue, we suspect Boeing is likely headed towards the 317 support area, where bullish activity can be spotted in the past. In case the 200 MA will act as support, we might see a rebound towards 371 or 394, but judging by the current price action structure, any meaningful upward move should be regarded as a selling opportunity. 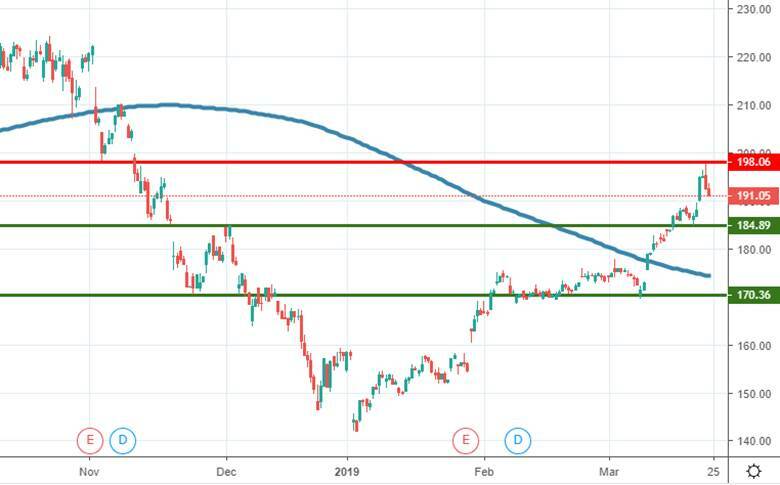 Microsoft is one of the few stocks which managed to break above the October 2018 highs, which suggests there was strong demand behind the price action. Still, following the break above 116.23 high, the price action did not manage to continue higher for more than a few days and now it is heading impulsively right back towards it. If the buyers will be able to keep the price action above it, we might witness the start on a new upward move towards 120 or even 125 area. On the other hand, a break below 116.23, followed by a weak response from the buyers will mean that sellers regained medium-term control over the order flow, and a deeper correction towards the 112 area is next.